FLOWER shops in the city noted an increase in sales as early as the first week of February in time for Valentine’s Day. “Compared to last year, more husbands and boyfriends ordered bouquets for their partners this year. We had to hire additional florists to accommodate the volume of orders,” France Patalita of Moments by Eleonor flower shop told SunStar Cebu. Red roses remain a popular choice, but the sunflower came as a surprise to most, Patalita said. She added that their office along Gorordo Ave., Cebu City would be operating for 24 hours on Feb. 13 to accommodate all the Valentine’s Day orders. 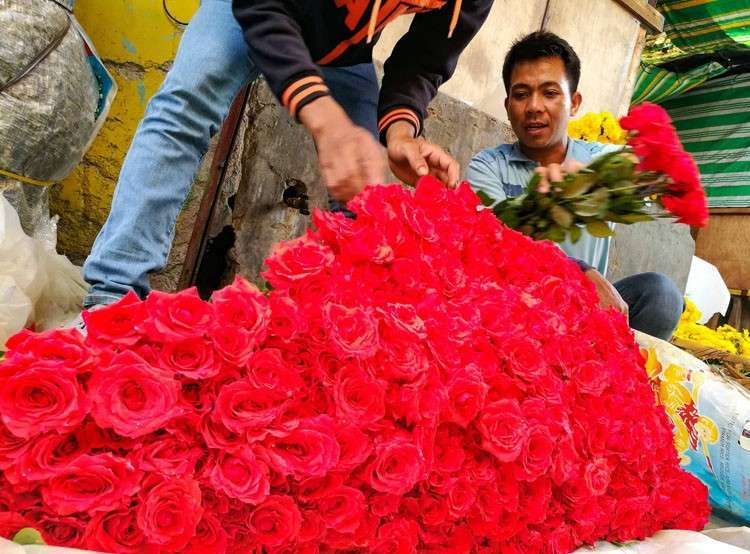 In Freedom Park, prices of red roses went as high as P450 per dozen, as of Feb. 11, Monday. White roses were slightly cheaper at P400. Ohding Empeda, a flower supplier for almost 30 years, said her supply came from Busay, Cagayan and even China. “Most of my customers order by bulk and I ship them to Tacloban, Ozamiz and Iloilo,” she said. Empeda said they also offer bouquets with prices ranging from P500 to P1,500. Other varieties like the carnations are sold for P250 per bundle. Lilium stalks from China are priced at P190 and carnations at P250. Gerberas are sold at P100 to P250 per bundle. Empeda said their sales are higher compared to last year, which was plagued by storms that made ships unable to ferry flowers from other regions. “My income now is higher compared to last year, and even my stocks are already paid for by bulk. Only a few remain for individual retail,” she said. Tethel Abello of Bebe Arcayan’s flower shop said they offer all types of flower arrangements for bouquets where they can let customers choose if they prefer local or imported flowers. “Our local flowers from the mountain barangays are cheaper compared to Holland roses, which cost as much as P2,000,” she said.